It’s easy to get just what you’re after in your next new vehicle when you choose one of the well-equipped 2018 Honda CR-V trim levels! This one-of-a-kind vehicle is available in LX, EX, EX-L, and Touring trims, and there’s never been a better time to explore the compact SUV that Car and Driver considers the crowded segment’s MVP. 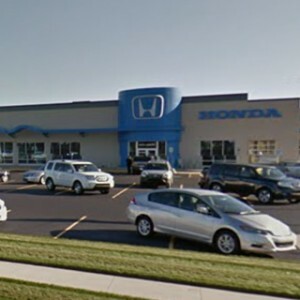 Drivers in Mid-Michigan can take it for a test drive today! Fold-Flat 60/40-Split Rear Seats: Easy fold-down rear seating lets you transform the CR-V’s interior in the blink of an eye. 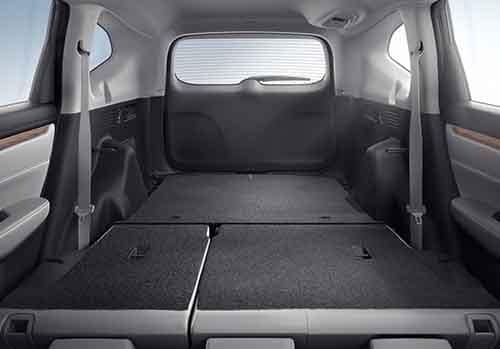 When you fold down both halves of the seat, you’ll expand your cargo storage area from 39.2 cubic feet to 75.8 cubic feet. Multi-Angle Rearview Camera: With the multi-angle rearview camera in the LX, you’ll be able to take advantage of wide-angle, normal, and top-down views, as well as guidelines. Dynamic guidelines come standard in every other trim. LED Daytime Running Lights: Drivers shouldn’t have to compromise on visibility. In the CR-V, LED daytime running lights come standard on every trim. A standard turbocharged engine, a wide variety of useful technology features, and an MSRP of just $26,950 for 2WD models* make the CR-V EX an incredible value. It’s the superior choice for any fun-loving family on a budget. 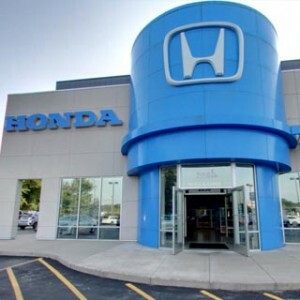 Honda Sensing: This standard set of intelligent safety features includes a Collision Mitigation Braking System, a Road Departure Mitigation System, a Lane Departure Warning, a Forward Collision Warning, a Lane Keeping Assist System, and even Adaptive Cruise Control with Low-Speed Follow. 1.5L Turbo 4-Cylinder Engine: This pint-size turbocharged engine offers 190 hp and 179 lb-ft of torque. 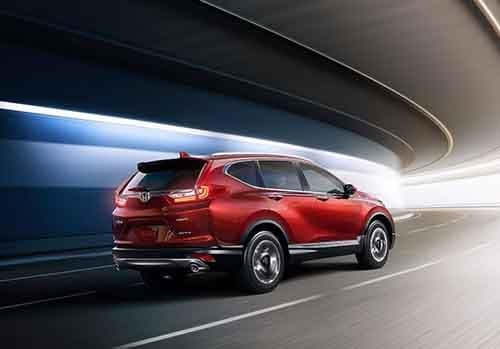 With standard 2WD, the CR-V EX gets an EPA-estimated 28 mpg city, 34 mpg highway, and 30 mpg combined,** and with the optional AWD, the efficiency barely takes a hit! 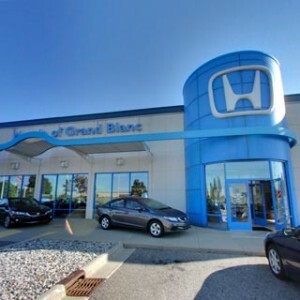 Smart Entry with Walk Away Auto Lock: When you approach your CR-V with your key fob on your person, your vehicle will unlock its doors for you automatically. What’s more, the CR-V will immediately lock itself when you walk away from the vehicle with your key fob in hand. 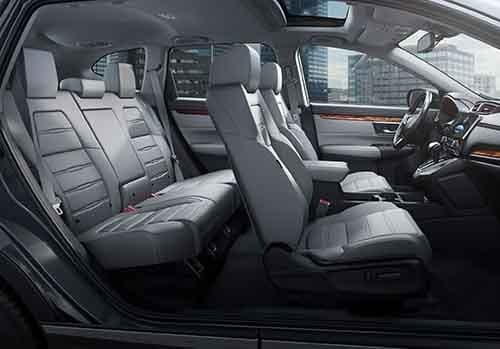 Leather-Trimmed Interior: A standard leather-trimmed interior gives the affordable CR-V an upscale feel that you and your passengers are sure to appreciate. EX-L models seat five, offer 102.9 cubic feet of total passenger volume, and provide a remarkable 40.4 inches of rear legroom. Two-Position Memory Driver’s Seat: You and another driver will each be able to set and save your seating and mirror preferences using this two-position memory feature. A four-way power-adjustable front passenger’s seat also comes standard at this trim level. Power Tailgate: A standard power tailgate with programmable height makes it easy to load your CR-V up with cargo, especially in cramped quarters. Drivers who upgrade from the EX-L to the Touring trim will also receive hands-free access, which lets you open the rear door by simply waving your foot beneath the bumper. The CR-V’s Touring trim is priced at just $32,650 MSRP for 2WD models,* and it’s filled to the brim with connectivity, entertainment, and convenience features that will keep you smiling for years to come. 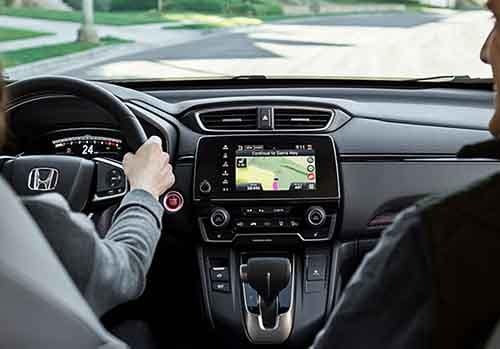 Honda Satellite-Linked Navigation System: This easy-to-use standard navigation system offers the convenience of Honda HD Digital Traffic projection, voice recognition/control, and of course, turn-by-turn directions. This upgrade even includes HD Radio! 330-Watt Premium Audio System: You’ll be able to enjoy your music like never before when you possess this 330-watt nine-speaker Premium Audio System. With it, a powerful subwoofer comes standard. Roof Rails: This simple standard feature can offer near-limitless utility to the family that’s always up for adventure! Roof rails greatly expand your carrying capacity, but drivers who want to be prepared for any outdoor escapade are encouraged to explore the CR-V’s accessories. 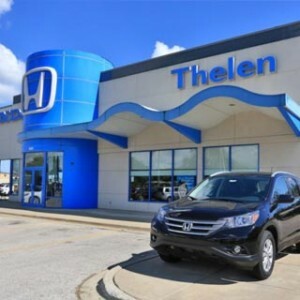 Once you’ve had the chance to explore our current offers, simply stop into your local Mid-Michigan Honda Dealer to take your favorite 2018 Honda CR-V trim level for a test drive. This compact SUV’s available models have something for everyone! Contact us today to take your turn behind the wheel. *MSRP excluding tax, license, registration, $975.00 destination charge, and options. Dealers set own prices. **Based on 2018 EPA mileage ratings. Use for comparison purposes only. 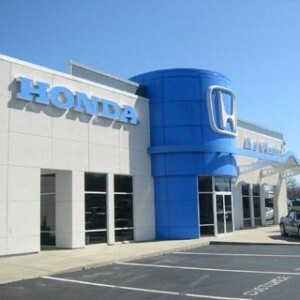 Your mileage will vary depending on how you drive and maintain your vehicle, driving conditions, and other factors.